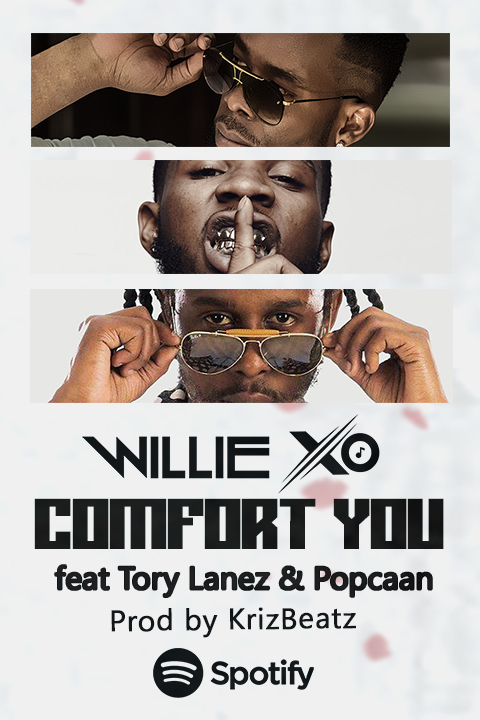 AFRICA’S FASTEST RISING STAR, WILLIE XO IS STAMPEEDING TO THE FOREFRONT OF UK MUSIC WITH NEW SINGLE ‘COMFORT YOU’ FEATURING SUPERSTARS TORY LANEZ & POPCAAN. With major backing from SPOTIFY & other music platforms, ‘Comfort You’ was originally recorded in Nigeria with Afro-beats hitmaker KrizBeats. With the addition of Tory Lanez’ outstanding vocals and Popcaan’s dancehall twist, we are on to a sure fire, mainstream hit. The video which is set in Mexico & LA with all artists and a bevy of beautiful girls… it has already reached 1.8 MILLION views in just under 3 days!!!! Check it out!